Michael Morrell could barely stomach the revelation, which tormented him like indigestible gruel. Chelsea Manning was coming to Harvard’s Institute of Politics. In a letter to Douglas Elmendorf, dean of the Kennedy School, Morrell, the former acting director of the Central Intelligence Agency, barely contained his disgust at the decision making Manning a visiting fellow. In quitting his post at the Belfer Center for his scandalized conscience, one favourably attuned to drone warfare and torture, Morrell recycled and regurgitated the tried and untested themes that remain the staple of the secret state. Morrell saw in Manning the efforts of a celebrity criminal on the road of justification. “The Kennedy School’s decision will assist Ms Manning in her long standing effort to legitimize the criminal path that she took to prominence, an attempt that may encourage others to leak classified material as well”. The last assertion is precisely the reason why Manning should be garlanded with floral tributes of acknowledgement on getting to the Kennedy School. Even President Barack Obama, whose administration proved crack addicted to prosecuting whistleblowers under the Espionage Act, had to concede as a presidential candidate that revealing abuses and corruptions were indispensable to the health of the republic. Despite hardening on getting to the White House, Obama did issue an executive order and sign a law beefing up whistleblower protections in 2012. As ever, he preferred to keep the intelligence community in its traditional, singular nook, where officials remain squeamish about notions that a whistleblower might be anything better than a flag tarnishing traitor. 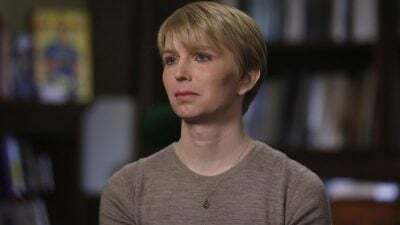 Obama did make one concession on Manning’s legacy in reducing her draconian 35-year old prison sentence, deeming it “very disproportionate relative to what other leakers had received.” Not exactly the sort of statement to expect for a person who had supposedly put US soldiers at such mortal risk. The president, nevertheless, made it unquestionably clear that Manning was an example of gold standard deviance, what should not be done when advancing a cause. The Manning appointment cast an eager cat amongst very puzzle pigeons. Appearances were cancelled, notes sent more in sorry than anger. Current CIA director Mike Pompeo was certainly one of those explicit in describing Manning as an “American traitor,” a point he made to Harvard’s Rolf Mowatt-Larssen after cancelling a scheduled appearance at the university. Even worse for Pompeo was that the Manning decision was something of a stab wound, cruel, indifferent to servicemen and women, not least of all the director himself, who had gotten a degree from that university. Any academic institution worth its sacred salt ought to have a wide tent, suitably capacious, to accommodate the wounded, the tainted heroes, the credible deviants. If an institution appoints fellows from an organisation that overseas insurrections, disruptions and the occasional off-the-record killing, it would surely be appropriate to have that person’s counter, the whistleblower, the person who reveals, to provide some context. Patriotism, a refuge for the scoundrel that it is, affords space for the many. Reading Pompeo’s letter reveals an exercise of acne-ridden disappointment, the pubescent whose voice is just breaking, a pain that the world of grey is far more evident in his circles than one of light and dark. Touching that an agency specialising in mendacity, dissimulation and disinformation should be so dedicated to the holy verities. One such salient verity is worth recounting, notably in terms of its whistleblowing legacy. Farcically bitter as this is, a former CIA employee was sentenced to 30 months in prison for revealing that waterboarding was deployed in the heyday of the “War on Terror”. It proved to be the very person who exposed its practice, rather than any perpetrator, whose identity had been unlawfully revealed. Presumably John Kiriakou would have such doors to academic fertilization and discussion closed, his mind forever caged by the law’s presumption that he had betrayed his country. Veritas indeed! Manning’s role remains Socratic in its tragedy, remarkable in its endurance. Far better a fallen individual who has served time in actually breaching laws to expose crimes and misdemeanours, than counterfeit saints or pious servants revered by the choristers of patriotism.